Is the postponement of the German ‘foreigner toll’ a tactical retreat or the start of a long climb down? Also, for the first time, Coupe des Alpes drives all three of France’s 2,500m+ mountain roads, Galibier, de l’Iseran and Bonnette. Road deaths rise again in France ahead of new rules on driving and cycling with earpieces and headphones. Slovenia wins road safety award as ETSC calls for comprehensive safety kit to be fitted as standard in new cars, including speed limiters. Spectators advised to turn up early for this weekend’s Austrian Grand Prix (and check out our guide to the best roads around the Red Bull Ring). ‘Foreigner toll’ postponed in face of EU legal action. ‘It’s the beginning of the end for the maut [road toll],’ said German MEP – and chairman of the European Commission’s Transport Committee – Michael Cramer on twitter today. 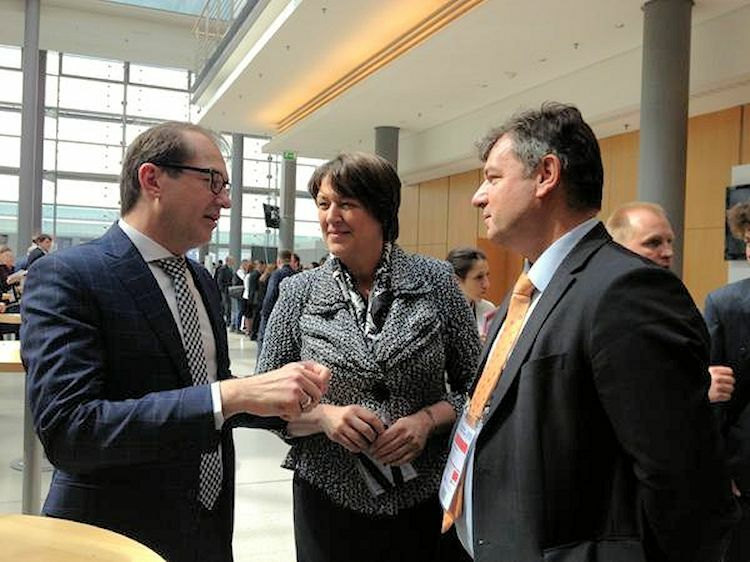 Later he said the EU deciding today to take infringement proceedings against the controversial road toll was a ‘resounding slap in the face’ for the transport minister Alexander Dobrindt (see update below). The Commission has two objections. Firstly, that the toll is discriminatory because – thanks to a reduction in road tax for German drivers – it will effectively only be paid by visitors and, secondly, that the short term vignettes are disproportionately expensive compared to the full year price. The government has two months to respond ahead of a ‘Reasoned Opinion’ then referral to the Court of Justice. Dobrindt is not taking this lying down. In an interview with Bild published just ahead of the Commission’s decision – and re-posted on the Transport ministry’s website – he vowed a ‘real battle with Brussels’ on the issue. As expected he cited Brussels’ lack of objections to the spookily similar-in-concept UK HGV Levy. Due to a commensurate cut in Vehicle Excise Duty for British firms, in practice this is also only paid by foreign vehicles. More than that, considering the torturous – but so far successful – progress of the foreigner toll it would be unwise to write it off just yet. It went from a highly popular local initiative of Angela Merkel’s sister party in Bavaria to deal breaker in the coalition negotiations after the German general election in 2013. Since then it has passed through the Bundestag parliament and Bundesrat upper house. It has now been signed off by the President despite facing the severest criticism at every stage. The stakes for Dobrindt personally are very high. Described as ‘fiercely ambitious’ – and something of an aggressive, divisive character – transport minister is his first post in national government. Thanks to its high-profile passage through parliament, the ‘foreigner toll’ is not something he will be able to shrug off and quietly chalk up to experience. The delay in the toll’s implementation he announced today – until at least 2017 – is certainly more tactical retreat than the start of a long climb down. Update 19 June: in further comments Cramer says he is ‘sure the discriminatory German road toll plans are dead’. He also told business paper Handelsblatt previous attempts to introduce a similar scheme in 1990 and 2004 both failed. ‘The European Court will decide, as it did 10 and 20 years ago, that it is wrong,’ he said. Coupe des Alpes, a three day festival of French mountain roads, kicks off today in Evian on the southern shore of Lake Geneva. The event covers 1000km and twenty passes via Megeve, Courcheval, Col de l’Iseran, Alpe d’Huez and Cannes. 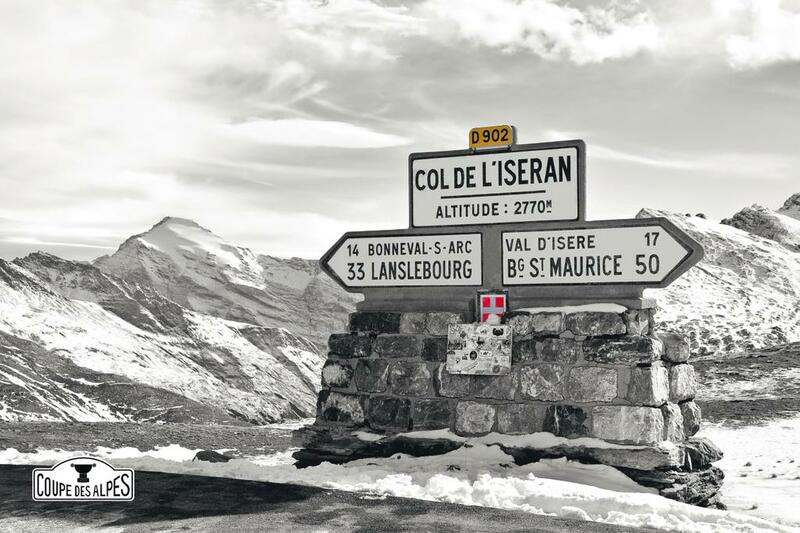 Now in its 26th edition, thanks to a later start date than usual the rally takes in the three peaks over 2,500m: Galibier (2,645m), Iseran (2,770m) and Bonnette (2,715m). The 200 competitors drive cars built 1945-1986. The competitive element is based on penalties rather than speed. All those without penalties at the end earn the ‘Coupe des Alpes’ diploma. See here for more on the route and rules or follow along at @RallyStory. See all these roads at PassFinder. roundup: FRANCE. With mobile phones apparently implicated in ten fatal and major road accidents each day, road safety organisation Securite Routiere is hoping that new rules from 1 July banning earpiece kits and headphones – for drivers and cyclists – will help improve safety stats. All those caught face a €135 fine. It was also announced today that fatal accidents rose by 1.9% in May compared to the same month last year. ‘The year 2015 remains unfortunately for the moment on the trend of 2014,’ said Securite Routiere boss Emmanuel Barbe. Road deaths rose for the first time in a decade last year. ROAD SAFETY. Slovenia won the 2015 Road Safety award from the European Transport Safety Council (ETSC) today for ‘substantial long term progress and high level political commitment to road safety’ after road deaths fell by 14% last year (and 61% since 2001). At 52 deaths per million inhabitants, Slovenia is just ahead of France. ETSC also published its annual report in which it notes last year’s 0.6% reduction in overall EU road deaths was ‘the worst annual reduction since the first common EU target was set in 2001.’ Annual cuts of nearly 8% will be needed to meet the EU target of cutting road deaths in half 2010-2020. ETSC also calls for Automated Emergency Braking (AEB), over-rideable Intelligent Speed Assistance (ISA), intelligent seat belt reminders and alcohol interlock devices to be made standard on all new vehicles. It will make a proposal for revised vehicle safety standards later this year. AUSTRIA. Spectators for this weekend’s Formula One race at the Red Bull Ring in Spielberg are advised to arrive by 07:30 says roads manager ASFINAG. Finding the way should not be a problem; drivers will be guided by overhead signs and in some cases special F1 road markings. See the traffic management map for around the circuit. Traffic during last year’s sold-old event was extremely busy on the first two days but eased over the weekend. According to F1 journalist Joe Saward it is much improved so far this year. Also check out our guide to the big name mountain passes in the area ‘Five Red Hot Roads Around The Red Bull Ring’.